Gaudí grew up during a time when Catalonia was rediscovering its glorious past. Antoni Gaudí grew up during the socalled Calan Renaissance (la Renaixença). The use of the word renaissance alludes to the fact that the people of Catalonia wanted to get back to the greatness of the Catalan Middle Ages - a time where Catalonia was an independent superpower in the Mediterranean. 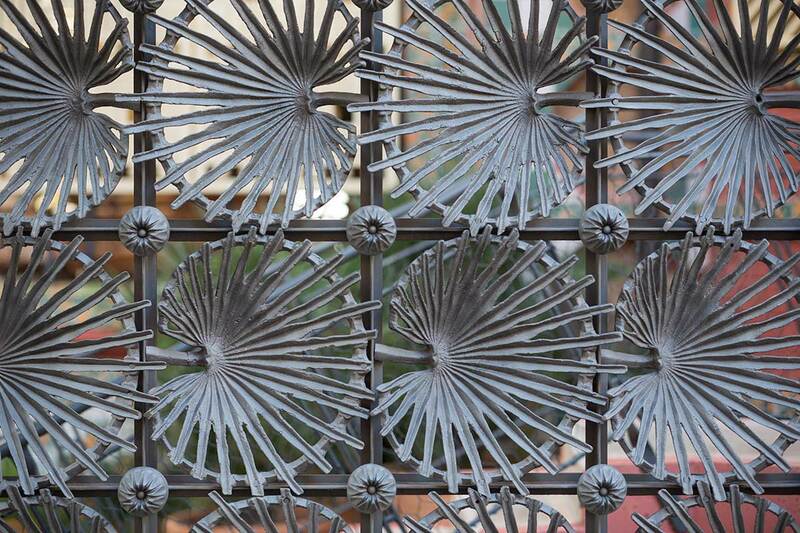 Wrought iron Gate at Casa Vicens (1883-1888). This came at a time when Catalonia experienced an economic prosperity, which primarily was due to the growing industrialization of Catalonia. The economic and cultural climate created frames that were the perfect conditions for a renewal within the arts, and architecture that goes under the name of modernism. The greatness of the middle ages and the gothic architecture were the most important influences for the architects and artists at the end of the 19th century. 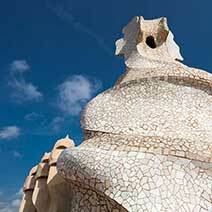 → Read about our walking tour in Barcelona to the most important works of Antoni Gaudí. 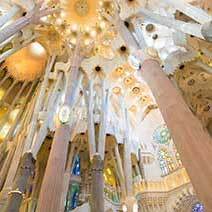 We can customize the tour for your group and include buildings like Sagrada Familia, Casa Batlló, Casa Milà and Casa Vicens. 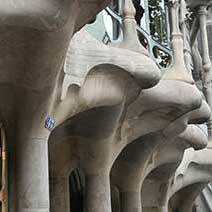 Architecture in the middle ages came to have a significant meaning for Antoni Gaudí. Already at an early age, Gaudí regularly visited the Reial Monestir Monastery of Santa Maria de Poblet. Here, the Catalan kings ruled in the greatness of Catalonia, and they had been buried there from the 14th century. In Gaudi's time the monastery was overdue, and the greatness of the monastery had gone into oblivion; but not with Gaudí and his friends Toda and Ribera. Together they prepared a plan for the restoration of the monastery, and Toda wrote long and sentimental elegances about the monastery. Also the Gothic cathedral of Tarragona, located just 10 km. 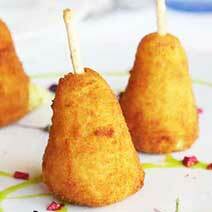 from Reus, was an important source of inspiration in adolescence. Gaudí quickly became one of the most important architects of this period - but he was far from the only modernist architect. Catalan modernism was a very wide movement that influenced a great quantity of artists, architects and artisans. Among the most important ones are Lluís Domènech i Montaner (1850-1923), Josep Puig i Cadafalch (1867-1956), Josep Vilaseca i Casanovas (1848-1910), Enric Sagnier (1858-1931) and, of course, Antoni Gaudí (1852-1926). in 1868 Antoni Gaudí moved from his natal town Reus to the big city of Barcelona and five years later he began to study at the School of architecture in Barcelona. Here, he had access to books about the architectural heritage of Spain and he found great interest in books about Arab and Mudéjar architecture. Also, he became interested in the French archtiect Viollet-le-Duc, who had led the restaurantion of the Medieval castle of Carcassonne, as well as the English architect John Ruskin, who had written about historicism in architecture - a modern architecture that was deeply rooted in styles of the past. During the summer of 1878 Gaudí met the very rich industrialist Eusebi Güell i Bacigalupi. The two men had in common that they were Catalan nationalists and interested in art. Eusebi Güell had created his fortune thanks to the growth within the textile industry, and during his journeys to England he had leant about the newest trends of art and had enlarged his knowledge about socialism and social residence construction. Earlier this year, Güell had visited the Universal Exposition in Paris and among other things he had seen a 3 meter high display cabinet made of crystal – created by Gaudí. Güell was impressed and the two men met. Eusebi Güell was then 31 years old while Gaudí was 26. They were both to live many more years and the meeting between them meant to start a collaboration and friendship that were to last for many years. The collaboration between Gaudí and Güell gave Barcelona some of its most charismatic architectonic works. Most of Gaudi's early projects in the early 1880s were influenced by the Arab architecture. During this period, Gaudí built Casa Vicens and Casa Comillas. 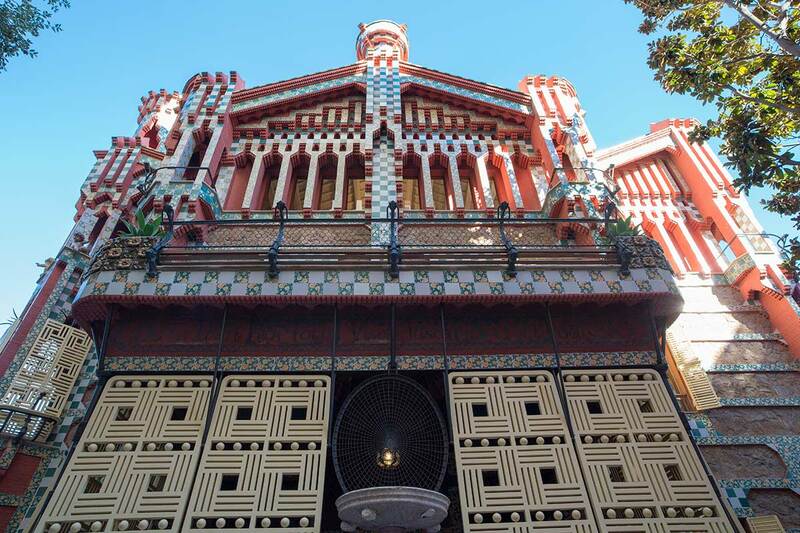 The distinctive Casa Vicens was built for Manuel Vicens i Montaner between 1883 and 1888 in Calle les Carolines in Barcelona. Here is the use of tiles all-dominating, a well-chosen building material in this context, as Vicens fed up with the production of just tiles. 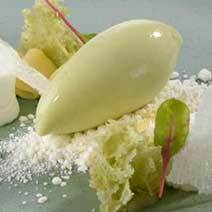 The next period is characterized by a greater influence on the Gothic/Neo-Gothic. El Colegio de Teresianes in Barcelona is one of the first works where the influence of this building style breaks through. 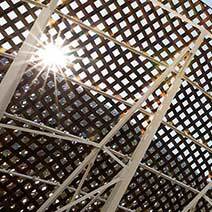 This also applies to the first major work of Güell, Finca Güell. From this work, especially the dragon gate - a masterpiece in wrought iron - has become famous. It refers to one of the main works of the New Generation Nationalist Literature, Jacint Verdaguer's L'Atlàntida from 1878. The dragon refers to a rewriting of the myth of the Hesperides, where a winged wing guardes a garden where three beautiful nymphs live. Hercules overcomes the dragon and can thus enter the garden. Also, the magnificent Palau Güell, built a stone's throw from the Gothic Quarter of Barcelona, ​​belongs to the Gothic period, and has numerous references to Catalan culture and history. Another of the main works of the period is the crypt of the church of Colonia Güell. 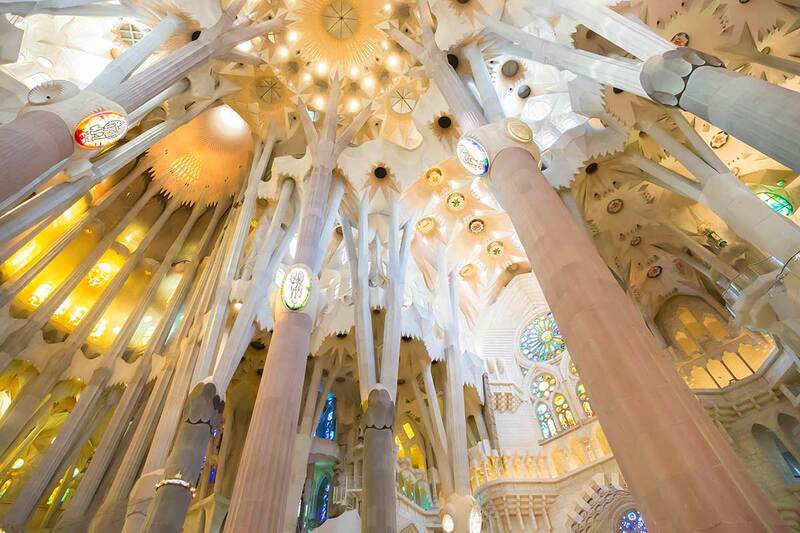 The building plays a leading role as an architectural preliminary study for the final design of the La Sagrada Familia. The drawings, Gaudí left, show clear similarities to the La Sagrada Familia and indicate how the lower part of the church should have had the same wavy shape as taken at school next to the Sagrada Familia. In addition, the bearing element in the crypt is the oblique pillars that should become dominant in the La Sagrada Familia. 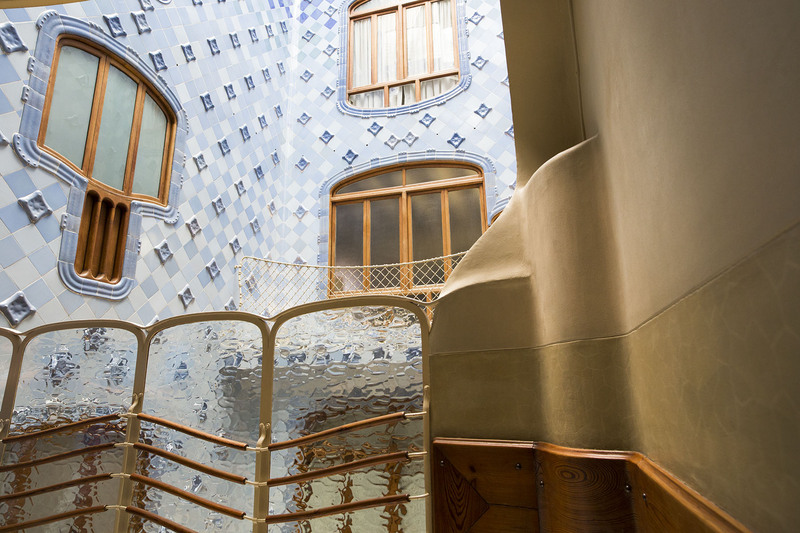 With the construction of Casa Batlló (1904-06) Gaudí reached a peak in his career. The use of tiles and the waving movement of the structure was something new that was to be a leitmotiv in the future architecture of Gaudí. 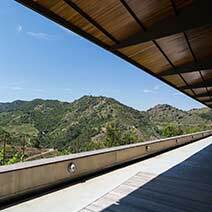 The house is a transformation of an already existing building that Gaudí gave a radical reformation, giving it new life and including many references and allusions to the history of Catalonia. La Pedrera/Casa Milà built between 1906 and 1910. The enormous building a bit further up the street (Passeig de Gràcia), Casa Milà, is yet another one of Gaudí’s masterpieces. 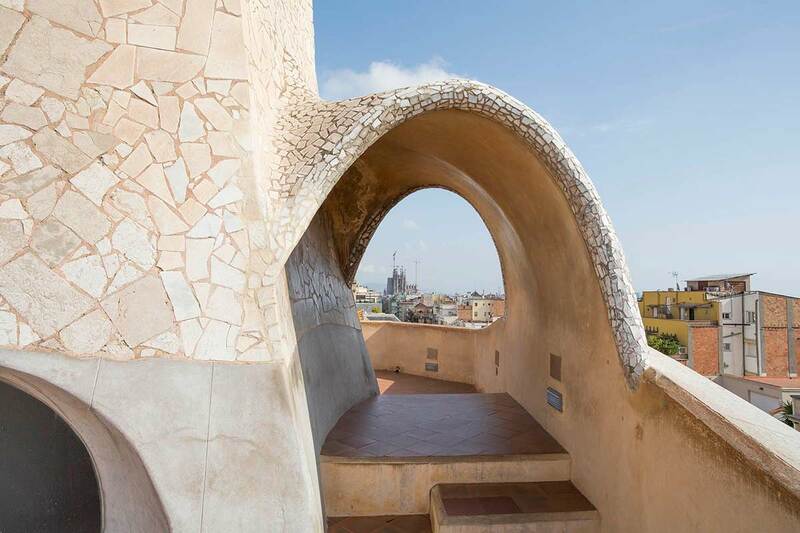 It was commissioned by a friend of Batlló, Pere Milá i Camps. 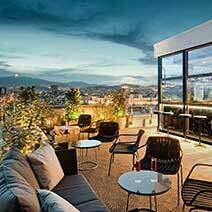 Gaudí designed furniture to the building and built one of the most distinctive of the city's buildings. 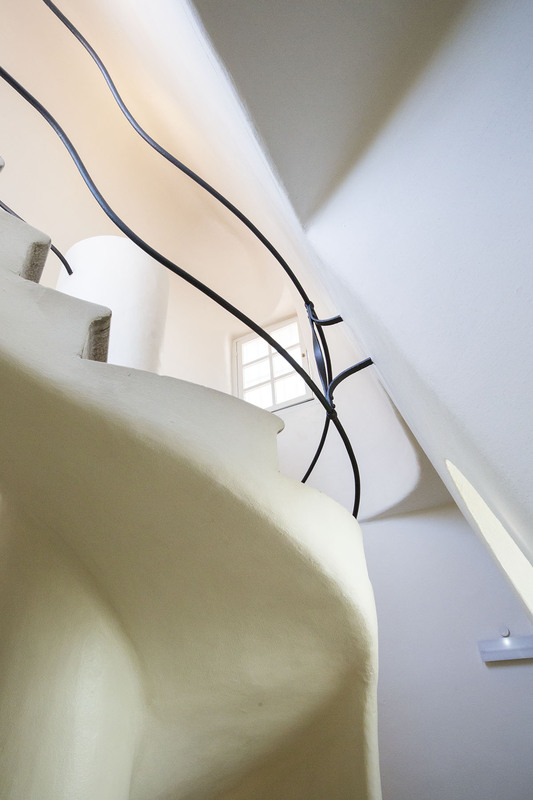 in fact the building was so peculiar to Gaudï's contemporaries that they baptized the building la pedrera (the quarry) and the newspapers made caricature drawings of it. However, in 1984 Gaudí and Casa Milà got their well deserved recognition: this was the year when Casa Milà was included on UNESCO's World Heritage List. La Sagrada Familia is probably the most famous building in Barcelona and one of the most well known in Spain. Gaudí worked 43 years on the construction of the church, and the building is still not finished (the construction work is supposed to end sometime in the 2020's). La Sagrada Familia will have 18 towers representing the 12 apostles, the 4 evangelists, Virgin Mary and Jesus. The Tower of Jesus will be the highest: it will rise from the center of the church and go up 170 meters – the towers that have been finished are 109 meters high.